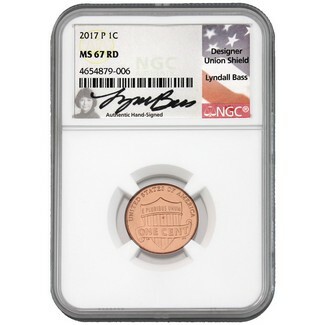 2017 P Lincoln Shield Cent NGC MS67 RD First 'P' U.S. Cent. Hand signed by the artist that created the Union Shield Design, Lyndall Bass.